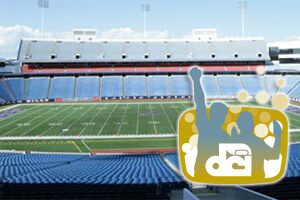 Monday, Aug. 5, the DCI Fan Network will present a LIVE webcast from Buffalo, N.Y., as seven of DCI's top World Class corps compete in the final Tour of Champions series event of 2013. On Monday evening, you'll be able to watch all seven corps perform in real time, plus see the first-ever Tour of Champions Cup awarded. The webcast begins at approximately 7 p.m. ET (4 p.m. PT) with the first corps stepping off at 7:40 p.m.
Two ways to view this webcast are available. A $19.95 pay-per-view option will give you one-time access to watch all of the performing corps at Tour of Champions - Drums Along the Waterfront. Choose the $69 Live subscription option, or Live+DVD or Live+Blu to gain complete access to all of this summer's live webcasts, on-demand replays of select DCI Tour events, discounts on downloadable media, and more!